A few months ago my husband and I decided we wanted a new dining table. After looking around online we fell in love with a dining table from Restoration Hardware (I mean, who doesn’t love RH?). However we did NOT love the price tag. So we decided to make our own, and we are super happy with the results! Our old dining table was a Craigslist purchase, and we fixed it up and painted it a blue-ish grey. 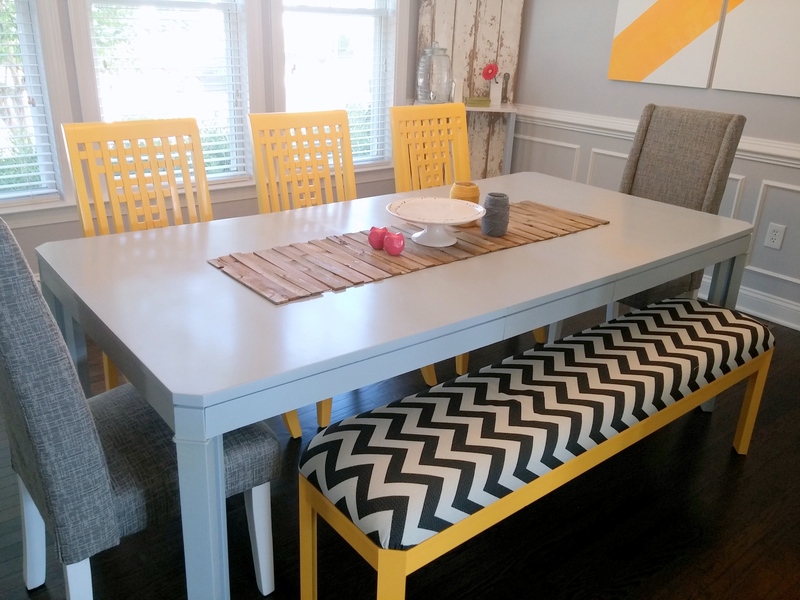 We loved the color and the shape of the table, but it slightly sagged in the middle and we were constantly worried that the paint was going to get messed up and our table would look horrible (it’s not fun to have to sand down multiple layers of paint & primer and re-do everything). 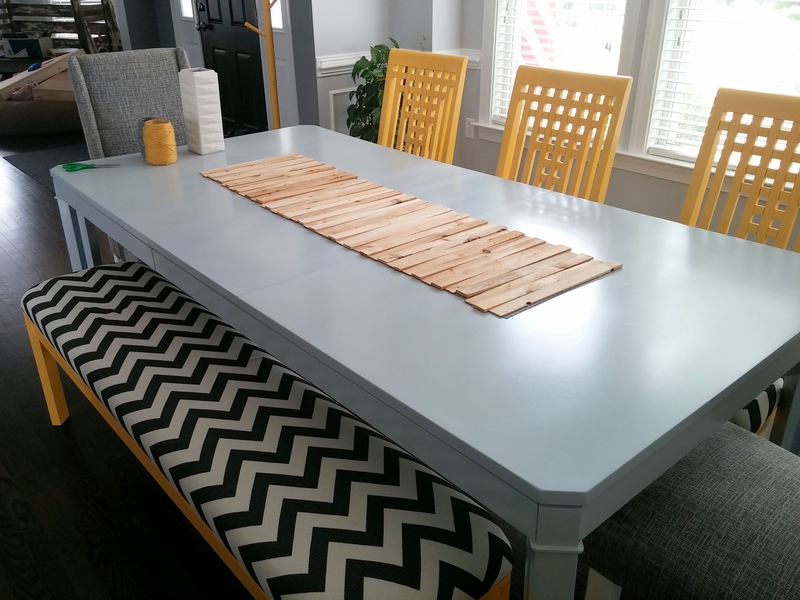 Our new dining table measures 106″ long, 43″ wide, and 30″ tall. We wanted to have something that could accommodate a large number of people, and we think we achieved that! For the color we wanted something that looked like a “farm table,” which proved to be pretty hard since Douglass Fir is a pretty red wood. To achieve this color we stained this table with 2 layers of pre-stain, 2 layers of Weathered Grey (with poly), and 2 layers of Kona (with poly). I’m going to post some more of our finished pictures below, but please keep reading on the next page to find out how we made this gorgeous table! 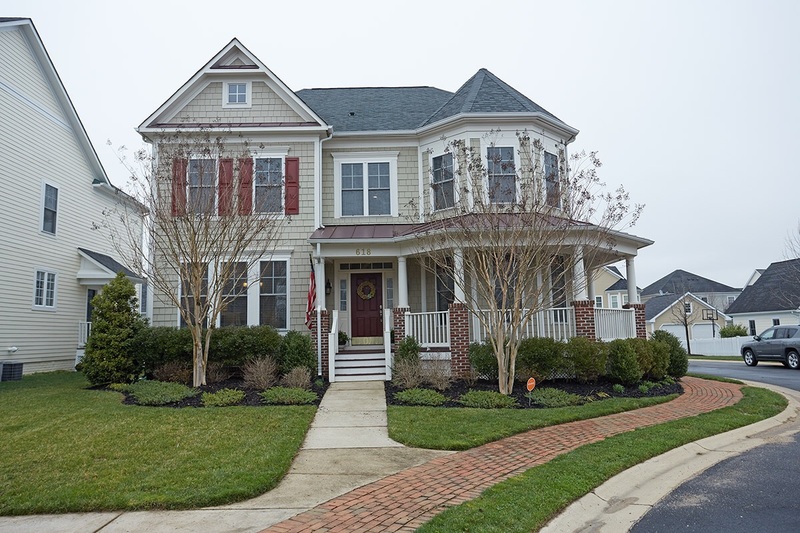 This year my husband and I made a lot of big decisions and changes-one of which was the decision to sell our home! 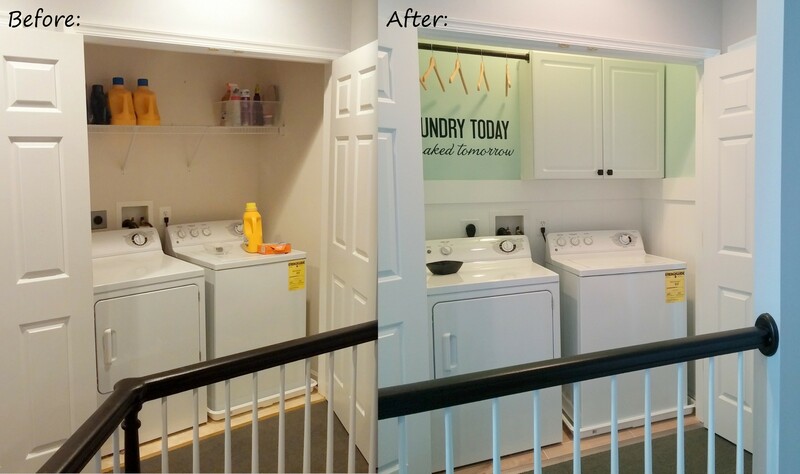 We bought the house two years ago and while we never actually got around to furnishing the whole house, it allowed us to really learn a lot about renovating. When we bought the house it needed some work: it was 9 years old, had been owned by several people, and didn’t have any updates. We really loved our time living here and were sad to move out of the fabulous neighborhood. But it was the right decision for our family and we are excited to start the next chapter with our new baby girl! Where did the month of October go? The days flew by and before I knew it the month was over! 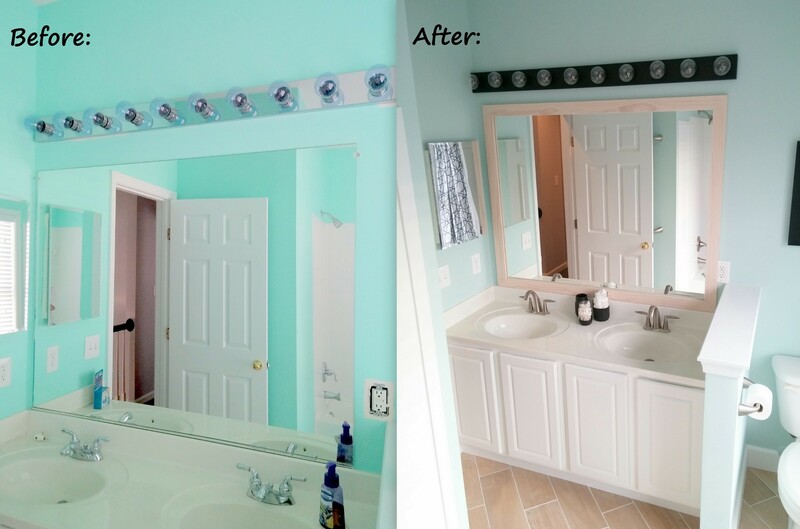 My husband and I have been really busy with careers and degrees and just life in general, but I have been really determined lately to get back on track with some home projects! I REALLY wanted to have a cute porch for Halloween since our neighborhood is basically bombarded with children each year. We went to a pumpkin patch a couple of weeks ago and bought some pumpkins for our porch. We bought 3 bigger ones for our stairs, but I also wanted to get 2 little ones to go in our planters with some flowers. Earlier this fall I had planted golden yellow mums in our planters, but the blossoms died & I didn’t realize they wouldn’t re-bloom until next year! I was so disappointed. I dug those up, headed to Home Depot, and browsed their garden section. As soon as I saw these Hen & Chick plants I knew they were exactly what I wanted! And, I bought all 18 individual plants for $10! I think they turned out pretty well. 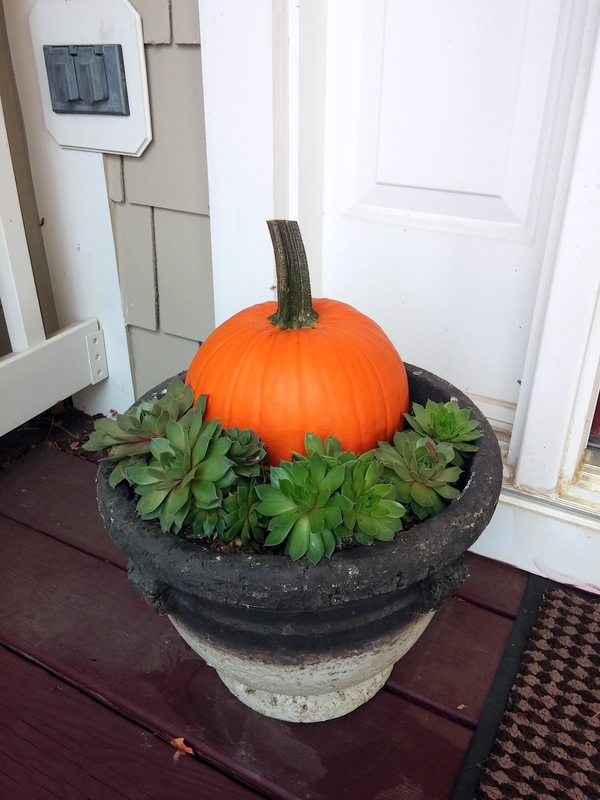 And, the best part is that these plants should survive the winter and I’ll be able to replace the pumpkins with other pieces of decor! I also wanted to make a burlap wreath for the door. I bought the wire frame, burlap, and pipe cleaners from a craft store, but the chevron burlap ribbon I bought from Walmart’s Halloween clearance! I didn’t take any pictures of how I made the wreath or bow, but here is the link for the Youtube video I used to create the wreath, and here’s the blog link for how to make a perfect bow! On Halloween night we set out a pallet & hay bale as well. 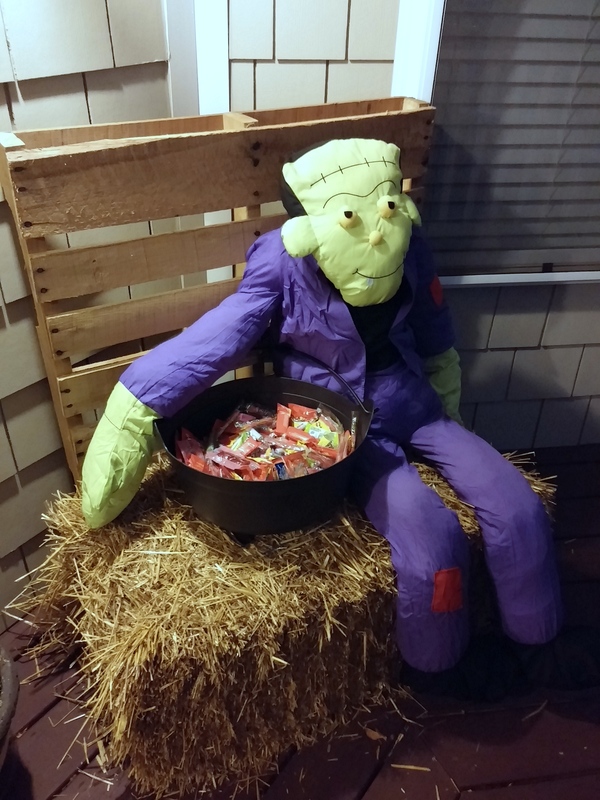 We bought this adorable Frankenstein from Amazon & put out our candy in a big cauldron! He did a great job guarding the bowl. Now, let me by honest. I absolutely love this home, but I can not stand the colors of this porch! -Give all the siding a new coat of paint in the same color. -Repaint all the trim from off-white to white. 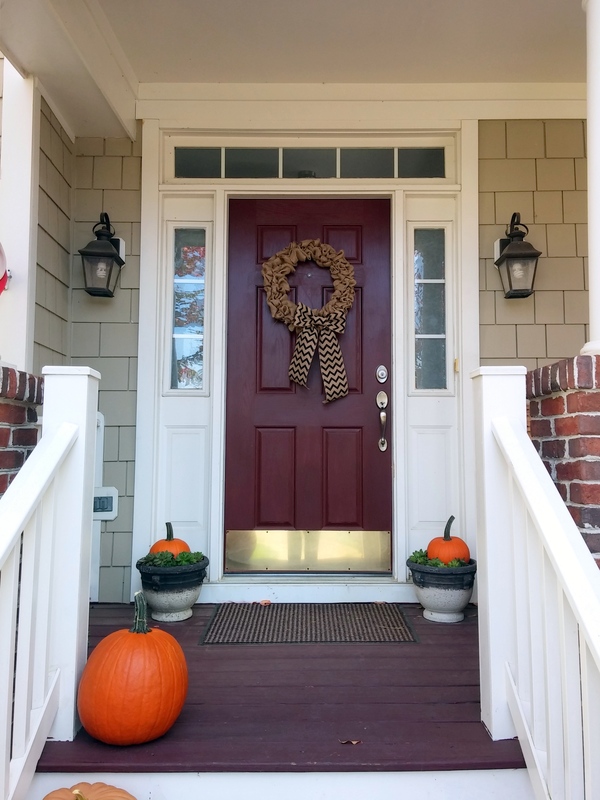 -Repaint the front door white so it’s clean & door wreaths pop against it. -Repaint the porch a deep charcoal color. -New kick plate in nickel. It’s a big list. We’re hoping to get all the painting done in early spring of 2015!